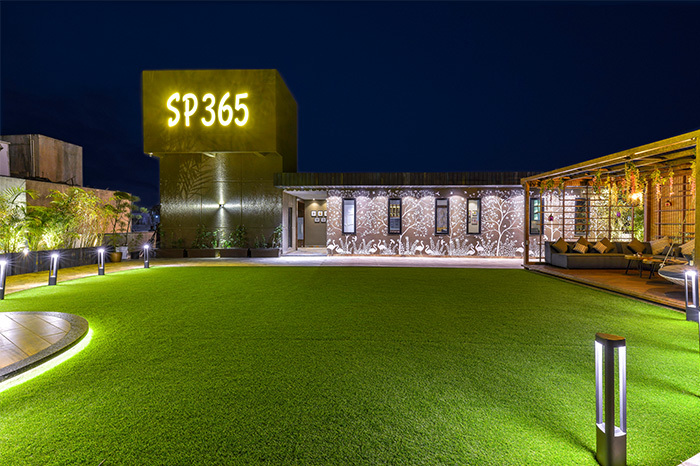 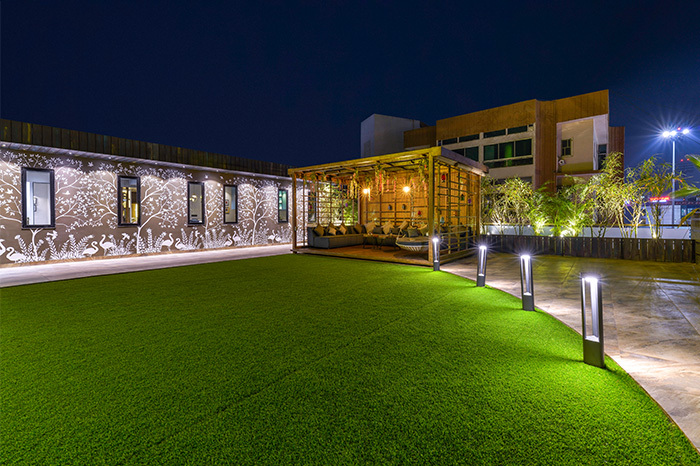 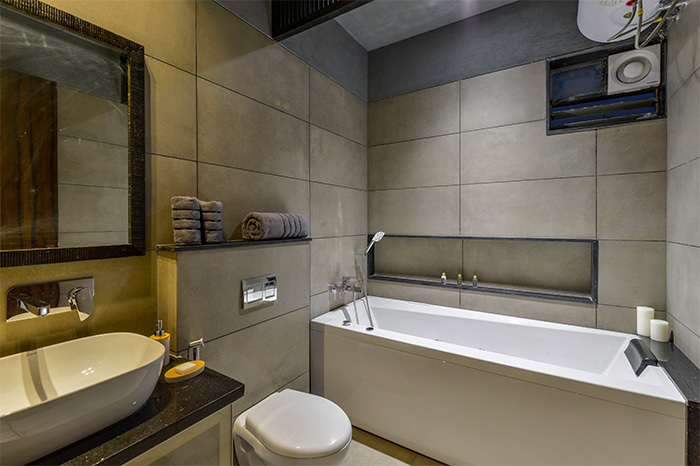 Quirky wall design accents give personality to different spaces of “SP365” through the use of elegant cut stone, wood, cushioning and landscaping. 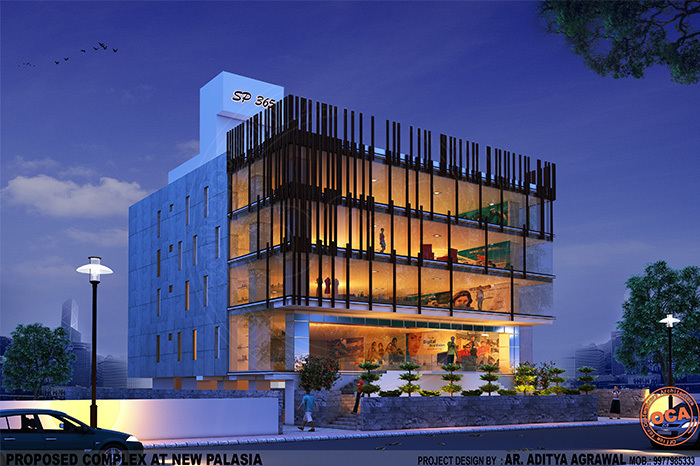 The transparency in the exterior is controlled by skin with perforations in response to the interior program. 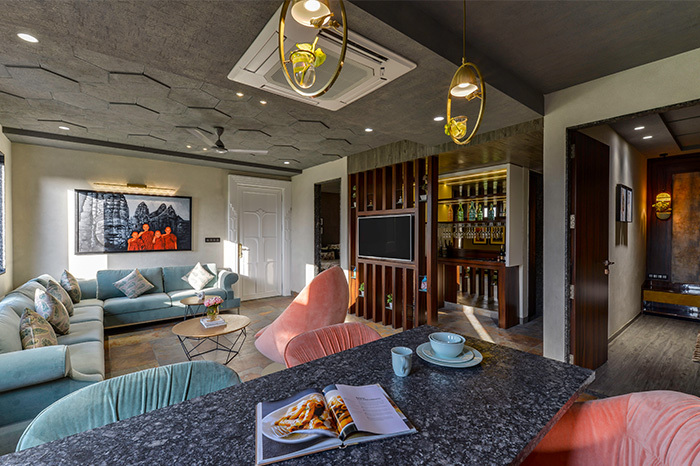 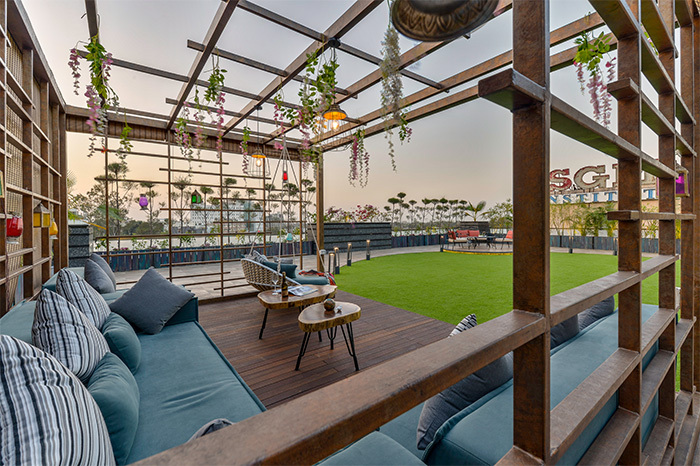 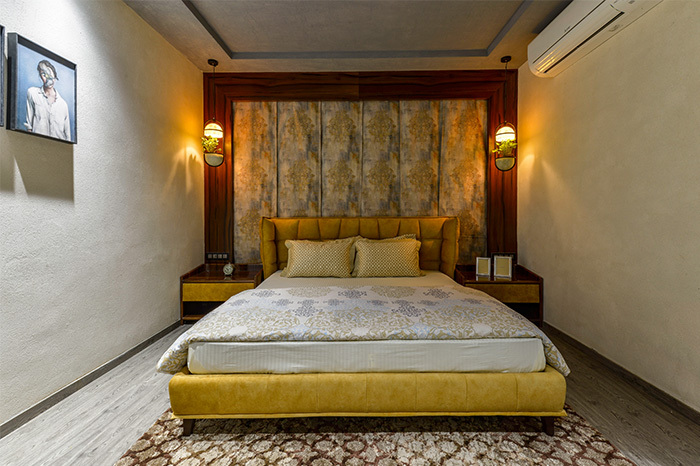 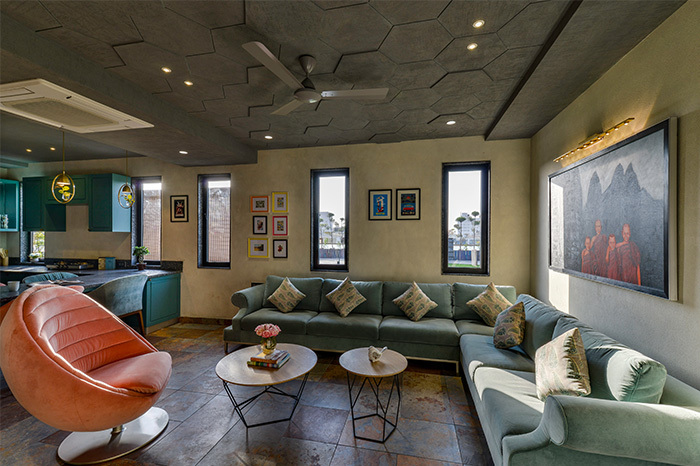 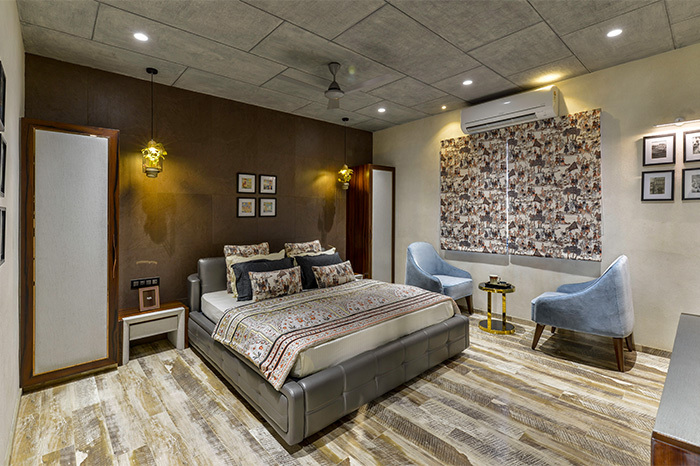 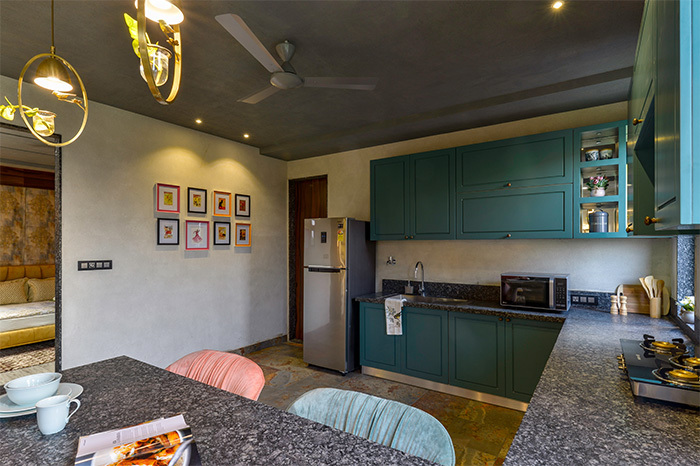 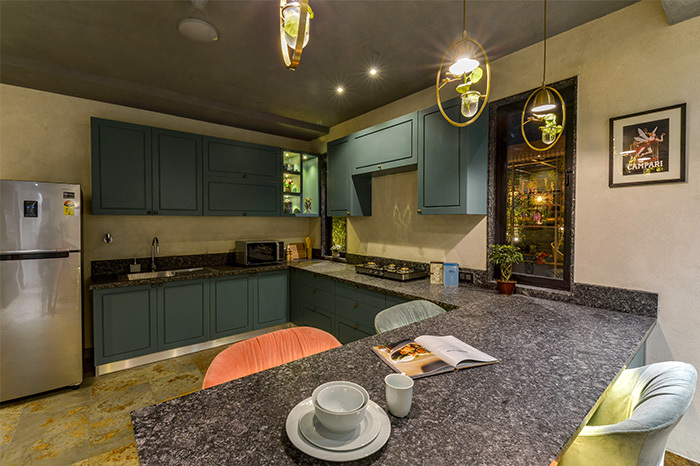 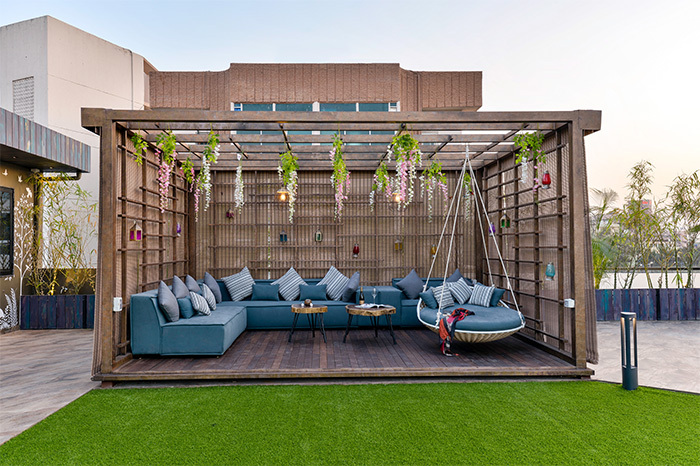 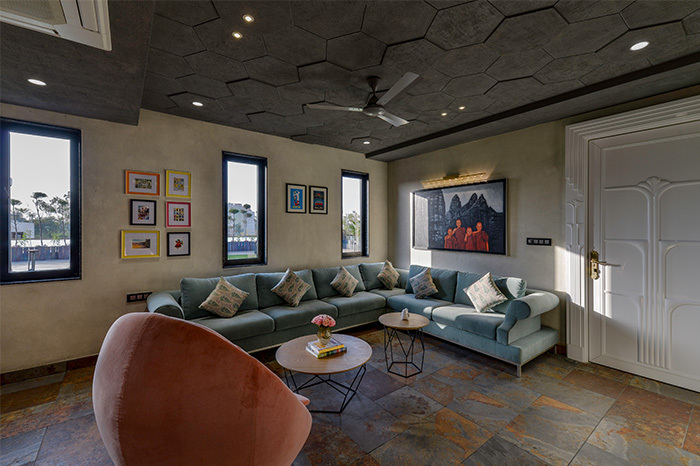 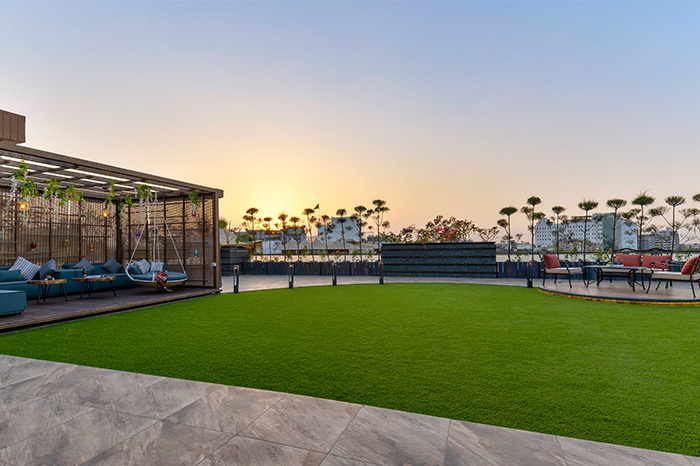 The chic and contemporary furnishings in indoor and outdoor areas of the Penthouse on the roof-top invite to relax and take in the magnificent views of the Indore city, but also provides a multifunctional environment suitable for entertaining.